As of the June 2018 application deadline, 1,1180 citizens of EU countries applied for a Nursing course in UK universities, marking a decrease of 38% compared to five years ago when 1,910 EU students submitted an application, reports Studying-in-UK.org. Nursing schools in UK are highly reputed and much sought-after from those individuals who seek a career in Nursing. This is supported by an attractive job market as the country prides a highly developed and advanced health care system which is always in demand of medical care professionals able to deliver medical needs of the community. However, despite this outstanding reputation, statistical figures highlight a fail of these schools to attract more students. Based on official statistics released from UCAS (the online platform for applications’ submission in UK) the total number of applications in these courses have been declining in year-on-year basis. Applicant figures from the application deadline in June 2018, show that there were 48,710 students applying for a nursing course in UK universities. In contrast, at the same deadline from the previous year, UCAS collected 53,010 applications for nursing courses. This is to say that between these two successive years there was a drop of 9%. According to this set of statistics, EU students counted for a large portion of this drop, whose number has been in a free-fall trend in recent years. In the June application deadline 2017, there were 1,290 EU applicants for a Nursing course in UK, while in this year the number of them fell at 1,180. In percentage terms, this translates into a decrease of 8%. Compared to previous years, a higher decrease is noted. For example, if we were to compare the number of EU applications in June of this year (2018), to five years ago, we would get a large decrease of 38%. Furthermore, among UK countries, England saw the largest decrease in applications for nursing courses. As shown in statistics, comparing applications made in June 2017 with those recorded in June 2018, a decrease of 12%is noted. Nursing applications also decreased in Northern Ireland schools (7%), while Scottish and Wales Nursing schools experienced a slight increase in application load (2% and 1% respectively). On the other hand, the number of non-EU applicants, although in absolute numbers remains the lowest among all groups of applicants, it is showing a steady percentage increase. Only during the past year, applications from nursing courses from non-EU students increased by 13%. These statistics are a concern for the medical sector in UK as recent news stressed out a discrepancy between nurses and other medical care professionals and the medical needs of the population, creating a large gap in the job market. The responsible authority for maintaining and delivering medical services for UK citizens, the National Health Service (NHS) has recently reported that they’re dealing with a shortage of nursing and medical care practitioners despite their absolute number has increased significantly in the last year. 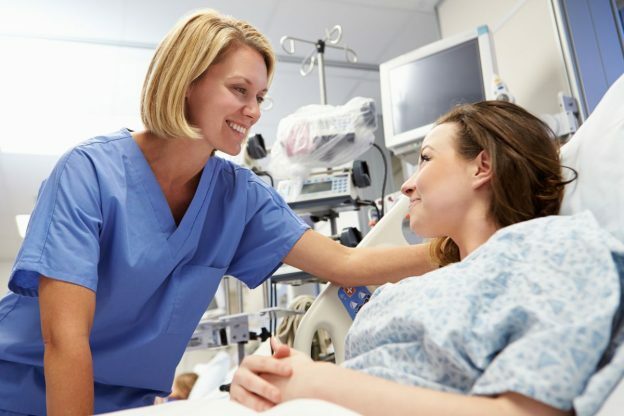 According to the statistics by the Nursing and Midwifery Council in the UK, as of the end of September 2018, there was a number of 693,618 nurses and midwives registered in the UK’s medical sector. Health leaders welcomed this increase, however, they have pointed out that this is not enough to fill the large gap in the job market. Official statistics about job vacancies in UK, show that only in England there are currently 41,722 vacant jobs for nurses.